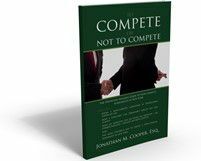 There is no doubt that even in those jurisdictions that tend to weigh in on the side of being protective of employer's interests (as opposed to those of the employees), the courts are charged to view non-competes cynically. The reason for this is fairly straightforward; if an employer seeks to bar an employee from taking on a better job, whether it be for higher pay, proximity to home, opportunity for career advancement, or some combination thereof, it stands to reason that the employer should have a very compelling reason to stop that from happening. Otherwise, the employee remains trapped in what, in effect, becomes indentured servitude on some level. On the other hand, in the context of franchise agreements, where franchisors have licensed the right to have franchisees use their brand name - provided that the franchisees abide by specific terms (as well as fees) to assure the integrity of the franchisor's brand - courts have shown a strong preference for upholding such restrictive covenants. Three recent examples include Red Roof Franchising v. Riverside Macon Group, No. 2:18-CV-16, 2018 WL 558954 (S.D. Ohio Jan. 25, 2018), Dickey’s Barbecue Pit v. Celebrated Affairs Catering, No. 4:17-CV-00127, 2017 WL 1079431 (E.D. Tex. Mar. 22, 2017), and Better Homes Realty v. Watmore, No. 3:16-CV-01607-BEN-MDD, 2017 WL 1400065 (S.D. Cal. Apr. 18, 2017). As an interesting side note, there are very few reported New York cases on this issue. Although most courts analyze a number of different factors in evaluating the enforceability of a noncompete, including the reasonableness of its geographic scope and duration, the most important factor will almost always hinge on whether the former employer, or in this case, franchisor, has a legitmate business interest that is worthy of judicial protection. And in this context, a franchisor will usually have a compelling argument that they've invested a great deal of time, money, blood, sweat and tears building their brand, and it would prove mainfestly unfair if a frachisee was permitted to piggy-back off the franchisor's efforts without paying for it, or abiding by the franchisor's rules to assure its brand integrity. Post a Comment to "One Area Where Courts Will Favor - and Enforce - Noncompetes"